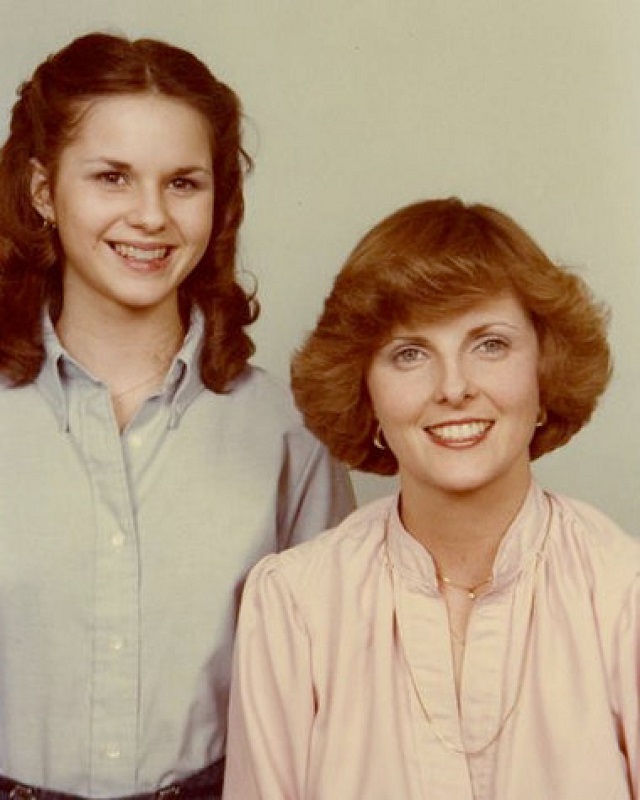 The Washington Post dropped a diabolical hit piece Thursday on Roy Moore featuring four women accusing him of making sexual advances on them when they were teens and he was in his early 30's. 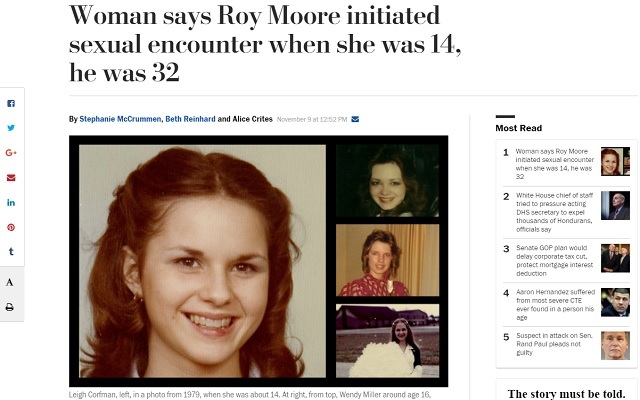 While three of the women claim Moore kissed them as older teenagers some 30-40 years ago, one woman claims that 38 years ago when she was 14 and he was 32 he took her on dates and eventually kissed her and touched her through her underwear. Alone with [Leigh] Corfman, Moore chatted with her and asked for her phone number, she says. Days later, she says, he picked her up around the corner from her house in Gadsden, drove her about 30 minutes to his home in the woods, told her how pretty she was and kissed her. On a second visit, she says, he took off her shirt and pants and removed his clothes. He touched her over her bra and underpants, she says, and guided her hand to touch him over his underwear. Note, their picture of her says she was "about 14" when it was taken. This is clearly an attempt to associate Moore with Hollywood pervs like Harvey Weinstein. There's no reason to believe any of these stories, and there's no reason to care that he allegedly kissed an "18-year-old cheerleader" who said she was "flattered by his attention," as one of the stories claims. Why can't Republicans come up with dirty tricks like this? 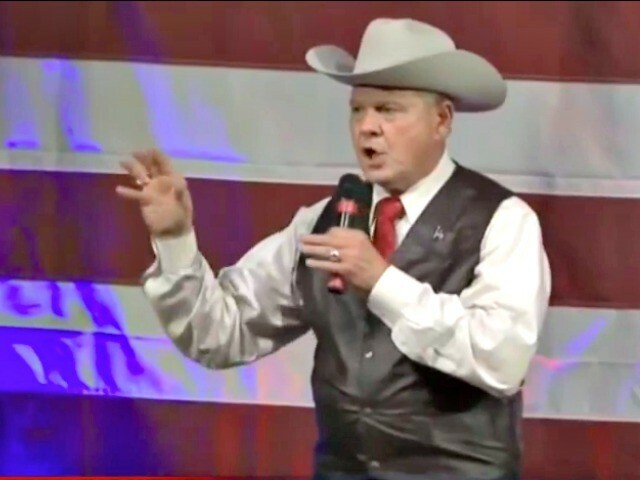 Moore represents everything the establishment hates. He's pro-gun, anti-degeneracy and in favor of economic nationalism. There's no reason to believe they wouldn't run a smear campaign like this to take him down, especially knowing the Republican establishment will rush to disavow. 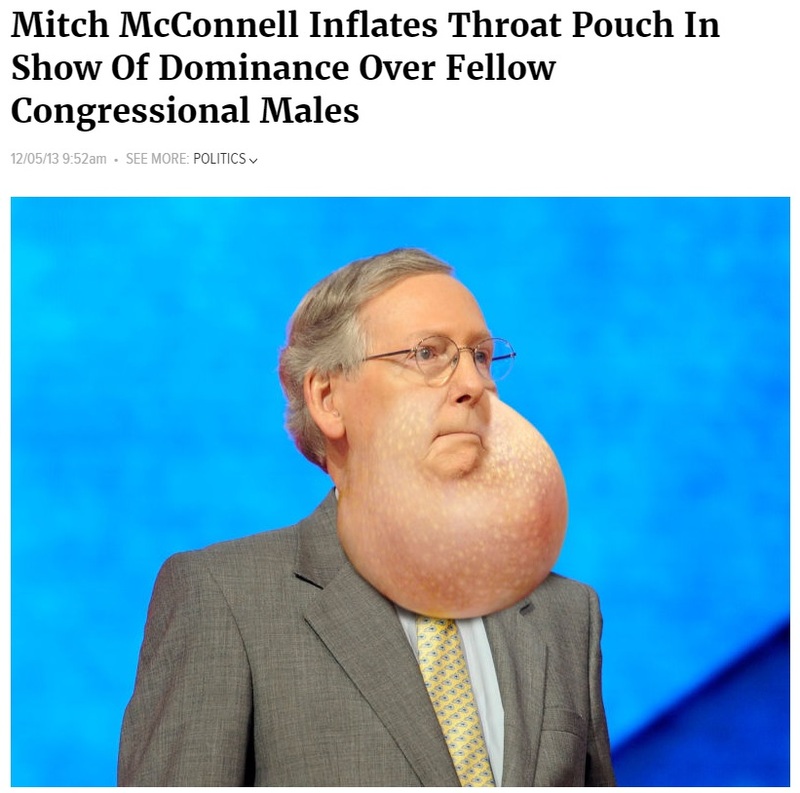 Republican establishment coward Mitch McConnell seized on the report, saying, "If these allegations are true, he must step aside." Sen. Lisa Murkowski also jumped on it, telling reports: "I'm horrified, and if this is true he needs to step down immediately." John McCain said in a statement: "The allegations against Roy Moore are deeply disturbing and disqualifying. He should immediately step aside and allow the people of Alabama to elect a candidate they can be proud of." They want to take him out because they view him as a threat to their power. It remains to be seen whether it will actually work. The Obama-Clinton Machine�s liberal media lapdogs just launched the most vicious and nasty round of attacks against me I�ve EVER faced! Our children and grandchildren�s futures are on the line.